WE SELL ONLY FIRST QUALITY / NEW FIESTA DINNERWARE. OUR CLEARANCE PAGE IS FULL OF ITEMS PURCHASED AS FIRST QUALITY, BUT DO NOT MEET OUR STANDARDS. 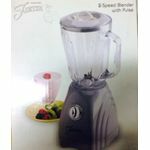 This site is Owned and Operated by Dishesfast, Inc. FIESTA® and GENUINE FIESTA® ACCESSORIES are trademarks of The Homer Laughlin China Company. AMERICAN ICON, EVERYTHING FIESTA®, HOMER LAUGHLIN, the dancing Lady logo and THE HOMER LAUGHLIN CHINA COMPANY are trademarks of The Homer Laughlin China Company. Dishesfast, Inc the owner and operator of Dishesfast.com* is not affiliated with, endorsed or sponsored by The Homer Laughlin China Company. © 2001-2019 DishesFast.com. All Rights Reserved.